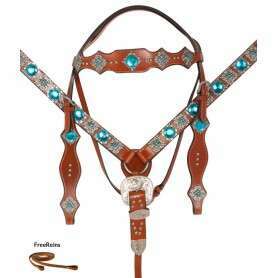 Alligator print and antique cross conchos give this horse tack set a true western look with studs for added appeal. Buy now for only $89.99 for a limited time! 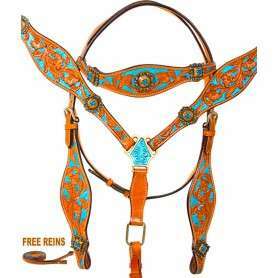 Show your faith in this one of a kind western tack set! 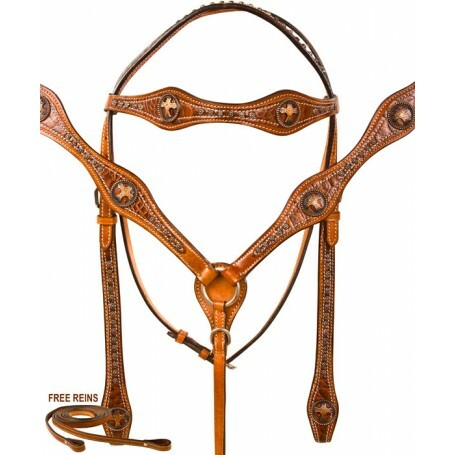 This set features brown alligator print accents on thick chestnut smooth leather with antique finished cross conchos that give the set a true western appeal. The set also features silver studded trimming throughout that really ties the set together and adds a little more appeal to the eye. This set features stainless steel hardware with Chicago screw bit and rein attachments.